A special sterling silver pendant with a miniature Venetian mask. 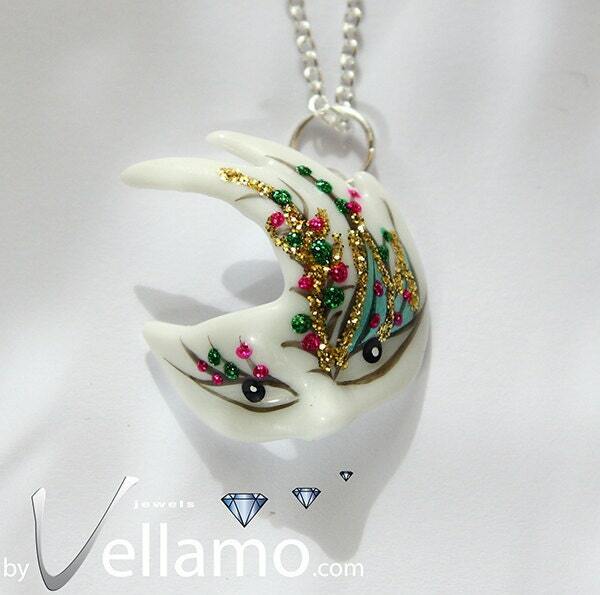 The Venetian mask is made of precious porcelain and has beautiful detail. Size of mask: 25mm x 25mm. The necklace is about 45cm long. Click Here to Visit My Etsy Shop! byVellamo. Awesome Inc. theme. Theme images by merrymoonmary. Powered by Blogger.